Jadakiss has another high-charting album. Adele’s 25 is the top-selling album this week, seeing more than three million album equivalent units of sales. 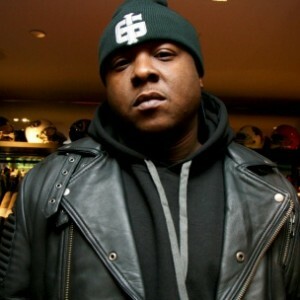 Jadakiss garners a Top Five project on Billboard’s Top 200 chart with his Top 5 Dead or Alive. Jeezy and Logic’s respective albums saw 73 and 81 percent drop in sales in their second week on the chart. The cast of Empire and Tech N9ne’s Collabos Strangeulation Vol. II debut in the Top 25 on the chart. Jadakiss’ Top 5 Dead or Alive is the #4 project on Billboard’s Top 200 list, selling 66,084 units and being streamed more than five million times. This is The LOX member’s fourth album to earn such an achievement. His debut album, 2001’s Kiss Tha Game Goodbye, reached the #5 spot. 2004’s Kiss of Death charted #1 upon its release and 2009’s The Last Kiss peaked at #3. The cast of Empire reappears on the Billboard chart with the soundtrack for season two. The project sold 29,499 units and was streamed more than two million times. The soundtrack for season one sold 109,585 copies its first week and debuted at the top of the chart, beating out Madonna’s Rebel Heart. Tech N9ne said his mission with Collabos Strangeulation Vol. II was to continue his chokehold on the music industry. The project charts at #25, beating out Drake and Future’s collaborative What a Time to Be Alive and Bryson Tiller’s Trapsoul. Strangeulation Vol. II sold nearly 24,000 units. Note: The first number below is this week’s “total album equivalent units” count, an intersection of album sales, single sales, and streams implemented by Billboard’s rating system. A pure album sales figure is available in bold in parenthesis and information about each album’s streaming count is available in brackets.